H.S. 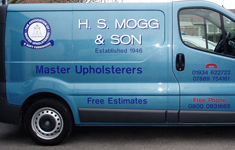 Mogg & Son is a traditional family run upholsterers in Weston-super-Mare. 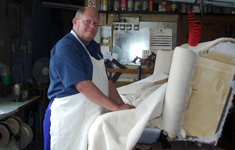 We were first established in 1946 and are members of the Association of Master Upholsterers. With over 40 years’ experience and hundreds of satisfied customers throughout the whole country, you can rely on us for excellent work and a service that is hard to beat. 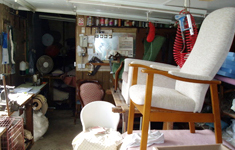 Our services range from re-upholstering and re-covering to repairing all types of furniture and vehicles, anything from antiques to modern. We can work on one small chair or a whole hotel lounge of furniture, no job is too big or small. Choose us for all upholstering services, whether it be for your home or your business, you can benefit from our experienced service and quality craftsmanship. 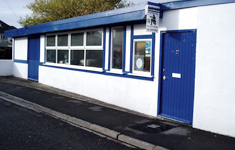 We are based in Weston-super-Mare but cover the surrounding areas. So if you need domesticor commercial upholstery services get in touch today. If you are looking for highly qualified craftsmanship with over 40 years’ experience choose H.S. Mogg & Son. We do all of our work from a well-equipped workshop and have a purpose built van to transport your furniture – taking care of the hard work for you.